Don't wait for your water heater to give out, leaving you shivering in the shower. Instead, do your homework and learn about an energy-efficient, cost-effective option that might work for you. Homeowners rarely think about their water heater or its vital contribution to the convenience of modern living. Likewise, relatively few think about hot water’s surprisingly high price tag—$400 to $600 per year for an average family, according to the U.S. Environmental Protection Agency’s (EPA) ENERGY STAR program. How could an everyday home essential cost so much? There’s a simple explanation: conventional water heaters are notoriously inefficient, accounting for about 20 percent of total household energy consumption (and 20 percent of each utility bill). 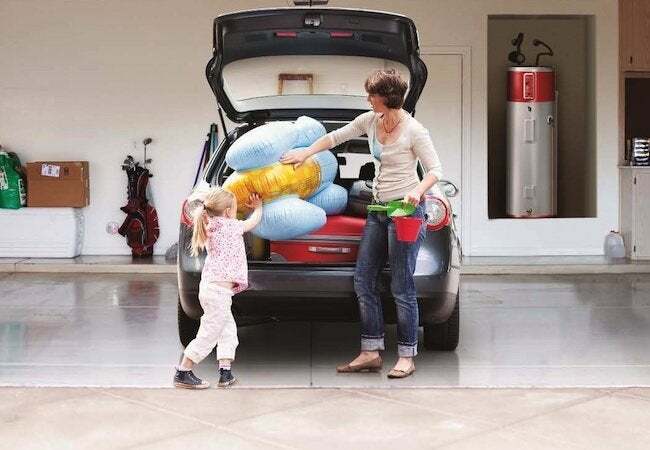 The good news is that in recent years, a flood of innovative, high-efficiency water heaters have come onto the market. Unfortunately, too many homeowners fail to capitalize on this technology, opting instead for the default solution—an energy-guzzling conventional model. 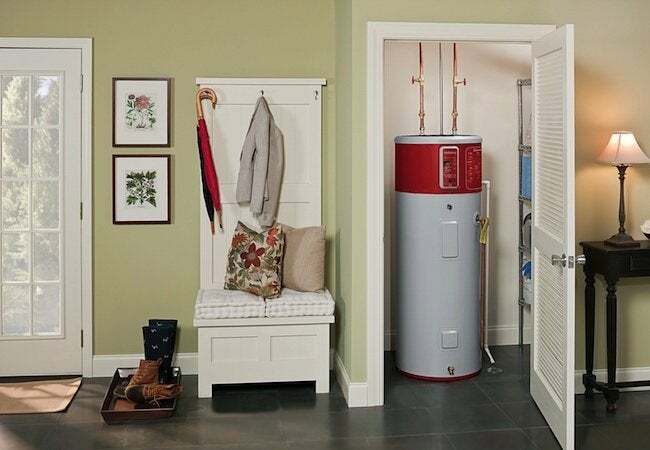 To transition smoothly to a high-efficiency unit, experts recommend beginning to plan for a new water heater well before you’re faced with an emergency situation. Only then can you survey all of the options and decide which type of water heater would be best for you. There are pros and cons to each competing water heater technology, of course, but heat pump water heaters may be the most intriguing. Continue reading to find out why. Conventional water heaters use energy—usually either gas or electricity—to generate heat. 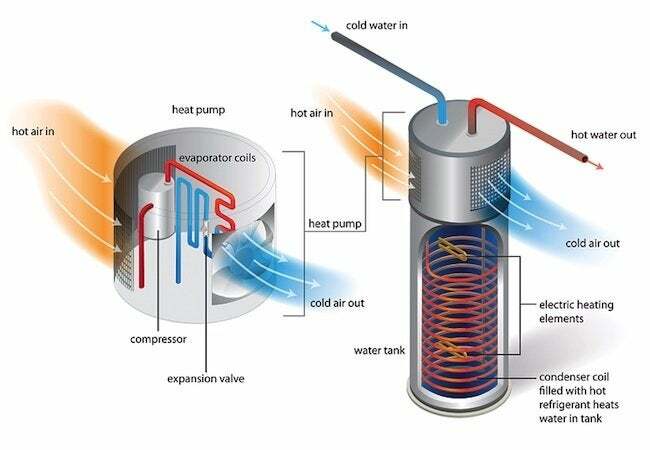 Heat pump water heaters (HPWHs) operate in an entirely different way. They, too, use energy, but not to generate heat, rather to move it from one place to another—from the air surrounding the appliance to the water held in the unit’s storage tank. It may sound like magic, but the reality is that refrigerators work in pretty much the same way. While a refrigerator expels hot air from inside its storage compartment, HPWHs accomplish the reverse, pulling heat in from the surrounding air. It’s a complex yet highly efficient process in which the heat pump successively condenses and evaporates a special refrigerant fluid, capturing heat along the way. There’s only one drawback: HPWHs take a relatively long time to heat a volume of water to the preset temperature. In order to avoid falling behind on the demand, particularly at peak times, most HPWHs are equipped to provide traditional electric-resistance water-heating as well. However, when properly installed under the right conditions, a HPWH rarely needs to revert from its primary, high-efficiency mode to its less efficient backup mode. But, because they’re capable of both, HPWHs are sometimes called “hybrid” models. The popularity of HPWHs stem not from the nuances of their underlying technology, but from their remarkable efficiency—and more specifically, how inexpensive they are to operate. In fact, of the many water-heating technologies available today, HPWHs offer the lowest running costs of all, saving the homeowner every month for as long as the appliance lasts (an estimated 13 years). Those incremental savings really add up over time. According to the EPA, an ENERGY STAR certified HPWH can save the average family as much as $3,500 over the full duration of its useful lifespan. As an added benefit, ENERGY STAR HPWHs also help save the planet. EPA calculates that if an ENERGY STAR HPWH were installed in place of every electric water heater in the U.S., it would prevent approximately 140 billion pounds of annual greenhouse gas emissions—the same as taking more than 13 million vehicles off the road. While savings are achieved across households, a number of factors influence precisely how efficient a HPWH would be in your home. We’ll discuss these variables in the next section. Before purchasing a HPWH, it’s vital to confirm that your home can provide the appliance with what it needs to operate with greatest efficiency—a sufficient supply of warm air. While it’s possible to install other water-heating technologies in areas as small as a closet, HPWHs usually need at least 750 or 1,000 square feet. Any location big enough must also be stable in temperature (ideally never going below 40 degrees or above 90 degrees). Not every home contains an available space that satisfies both requirements. Plus, if the only suitable area for the HPWH happens to fall within a part of the home that you pay to heat, there’s a tricky tradeoff. After all, if your HVAC system must work harder (and consume more energy) to counteract the cooling effect of HPWHs on their immediate surroundings, the money-saving benefits of the high-efficiency water heater may be diminished, at least during colder months. Given the number of variables at play, it’s wise to consult with a contractor. Generally speaking, homeowners in cold climates are typically successful installing HPWHs in unconditioned areas with exposure to the heat of a furnace, boiler, or washer and dryer. 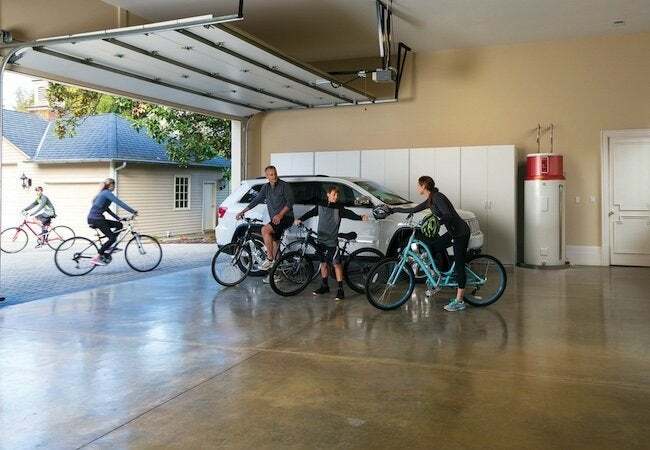 In warm climates, garage installations are most common. Some homeowners don’t even consider HPWHs because the technology requires a relatively large up-front investment. The purchase price of a HPWH typically runs three or four times higher than a conventional model. 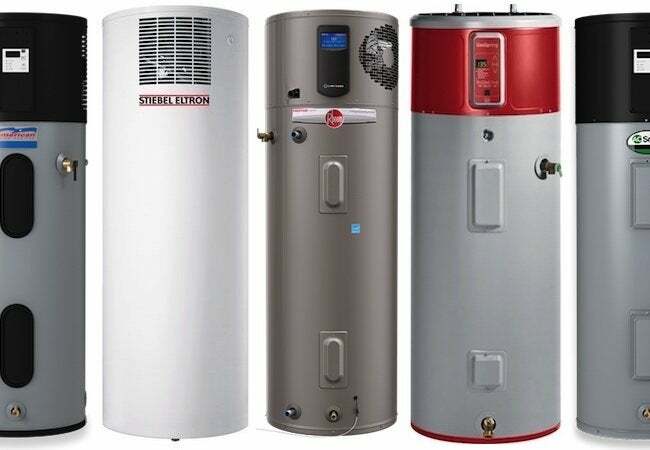 To fairly judge the cost-effectiveness of a water heater, however, you must consider the cost of running it as well as the cost of the equipment itself. By virtue of their unparalleled efficiency, HPWHs often cover their extra cost within a few years, and from then on any savings go right into your pocket. Another important factor to weigh in your decision: There are a number of rebates available to help mitigate some of the purchase price. For instance, if you install an ENERGY STAR HPWH unit in 2016, you qualify for a $300 federal tax credit. The utility, energy service provider, or municipal government in your area may offer additional incentives. Visit the ENERGY STAR Rebate Finder for a comprehensive list. Don’t delay. If you do your research now, as soon as your existing water heater approaches the end of its 10- to 15-year lifespan, you’ll be ready to act promptly to replace it, if not with a heat pump water heater, then with any unit boasting the ENERGY STAR label.